Mares name is Endless Gossip. Not sure on a Stallion to send her too.Any Help would be Appreciated . Dont Have a Large Budget . Just brought our 2nd Broodmare her name is Sweeping Success shes in foal to Super Easy, She does have a bit of age on her but think we might get one more year outta her ??? We like Echoes of Heaven. Are we on the right track or way off. Sorry , should have added that with Echos of Heaven you are thinking along the same track I am suggesting. Pity we don't have a son of MEDAGLIA D'ORO in NZ. Below results for best matings for Sweeping Success on E Nicks. Sweeping Success may work better with Sadlers Wells blood. Echoes of Heaven is a stallion with offspring running very well at present. Nasrullah Geez it is a shame we dont have son of Madaglia D'oro. Maybe somebody should stand one next year. 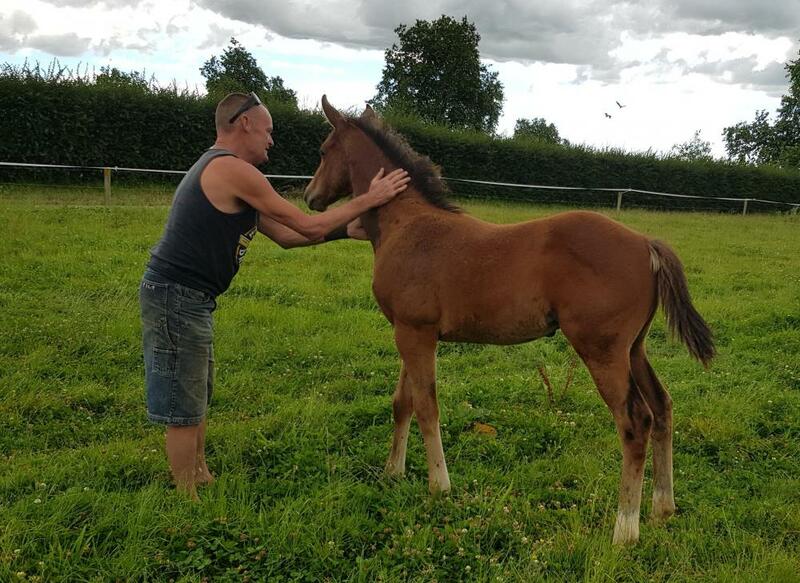 Your judgment probably as good as anyones, also depends weather you want to breed a sprinter or a stayer, go with your instincts and lets hope you have beginners luck on your side. Sorry about a late reply to your question ( I've been away). I take note of BruceL's comment on the first 6 matings and probably it is wise to try something else. But my reasoning behind saying Burgundy ( or maybe another Redoute's Choice sire) is that if you look at the dam of Sweeping Success (ie Special Licence ) she is by a son of Danzig over Show Lady. Redoute's Choice is by a son of Danzig over the a granddaughter of Show Lady. So you have a similar genetic make up --one male and one female quite close up. We all have pet theories and I like to look for crosses like this rather than just looking at crosses of a particular sire. With your honesty, your bound to get a good one, sometimes all the science and lineage counts for nothing, in my opinion luck pays a huge part, i have a friend looking to breed a staying type, is considering raise the flag, he leaves the odd staying type and improve with time.Be keen to hear what you settle on.Good luck. Quite right Shad. There are so many B.S'ers it's actually refreshing to hear someone say they don't know it all but they're gonna have a go and they're willing to learn. Had some dealings recently with a fairly esteemed owner / breeder - has a bank balance that makes mine look like petty change from a 5 year old's lemonade stall - but declared he isn't any expert in type or the other finer points of things equine - but nevertheless is loving every minute and soaking it all up. Thats what makes the game an even playing field, and you don't have to break the bank, been many rag to riches stories on mediocre bred horses turning into top liners, i think one from memory was the broodmare of tarzino, although i do stand to be corrected. Thanks Jess and Shad She's not due to foal till the end of September so iv got a bit of time. Have you thought about Complacent? He looks very good value for a Gp1 winner. I saw him race and was very impressed with his performances.Look what Hartnell did yesterday and Complacent has beaten him in races. I am considering sending mares to him as I think the Aussies will buy his stock. So much choice out there and a very hard decision, the double danzig thing over my head, plenty of value out there, go with your instinct.Exciting times ahead for you, we all have the dream of having a top liner, an old friend of mine always said to me, wise men ride them, fools breed them, i haven't taken his advice and have a wee interest in a broodmare in foal to an average sire to say the least, but you got to be in to win.Enjoying your post and always remember, your opinion as good as the next persons. I see from the Stud Book you sent Sweeping Success to Burgundy. I hope you got a nice foal. I have been looking at the sales catalogues for this years yearling sales. Lot 911 in Book 2 ( from Brighthill Farm) has a similar cross. By Burgundy out of Silk Slipper --her 3rd grand dam is Show Lady . So the same female family as Sweeping Success. Silk Slipper has already had a foal by Burgundy --Smokin' Oak who has won 2 races so far ( trained by John Bary). Good luck with your one. End Sweep was a top sire. 37 winners out of 75 foals in first crop, shuttled between Arrowfield and Japan until he was euthanatized with a tumour. His progeny were very strong behind with quite good forearm muscle but if you were to fault him, he had slightly long pasterns (being picky here). Ascot Knight was not a real Danzig on type. He was a big rangy stayer who took time and was very patiently handled by Mike Stoute. Sir Ivor is well known on type as he was replicated in Sir Tristram. They needed time and were stayers. End Sweep was by Forty Niner who is by Mr Prospector. 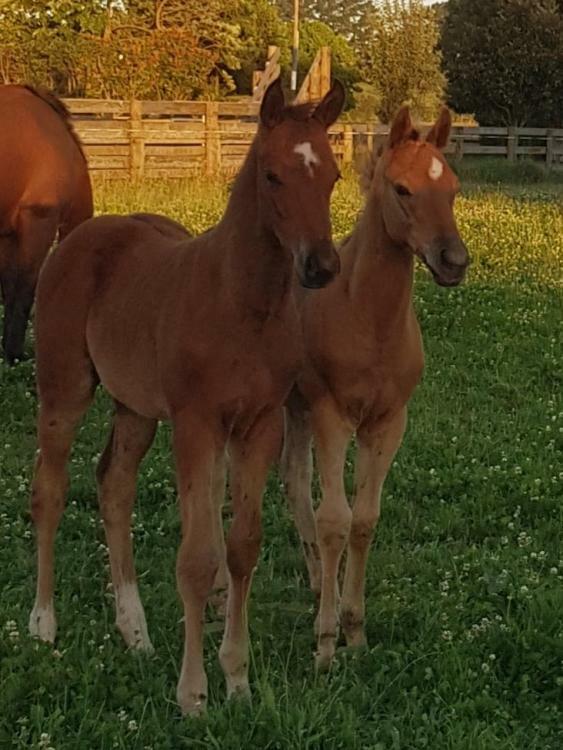 The reason I am picking this out is that in the next generation you can pick and choose with a mare heavy in this blood thereby bringing out the best in your next matings. Thank Breeder and Berri your help and knowledge is very much Appreciated .We sent Sweeping Success to Falkirk this year what do you think of that Mating ?? Not sure I'd go to Falkirk. 2% stakes winners to foals is not as good as you would want. Also he has rather awkward front legs which he throws to a lot of his progeny. I never like knocking anyone's stallion as they can all throw their champion but if I were advising breeders it would be to suggest breeding up.